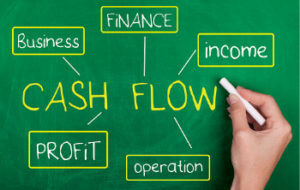 Cash Flow Q&A for Start-ups | TMA Small Business Accounting, P.C., P.C.TMA Small Business Accounting, P.C. One of the most difficult balances to maintain in any business, but particularly small business, is the constant tug of war that happens between cash in and cash out. The nuances of how to keep enough cash on hand to pay expenses and cover the ebb and flow of sales seems more art than science. For small business start-ups who have little in the way of experience, and even less in savings and cash on hand, managing cash-flow can be confusing and challenging. Early business growth brings advice from all sides often leaving entrepreneurs scratching their heads and ultimately guessing at how to keep it all flowing. Here’s a few of our most frequently asked questions with answers from our best small business advisors. Q: What’s the best way to see how cash is flowing through my business? A: Try using a cash flow chart. This visual tool can help you see the big picture of how money enters and leaves your business. Start by making a list of all the start-up costs and one-time expenses, monthly fixed and variable expenses, and projected sales. The end results from the charting will help determine if the business is viable and how long you will need start-up funding. Pulse is an online app dedicated to tracking cash flow. With this easy-to-use app, you’ll be able to monitor cash flow, invoices, project future cash needs and even attach files to transactions to keep everything all neat and tidy. If you’re already using QuickBooks, take a look at the Cash Flow Forecast Report that is imbedded in the software’s reporting features. It can provide you with a great deal of data on accounts receivable, accounts payable, bank accounts, and projected balances. Additional key areas of cash flow include other key areas of your business such as the break-even point, inventory management, and handling overdue invoices. Let’s review the basics. The break-even is the point where expenses out meet cash into your business – in essence, the point where your cash flow levels off. To find your break-even, create a spreadsheet that lists all income from sales on a daily, weekly, monthly and yearly basis. Now put in all the of the expenses that must be paid out. After that deduction, you’ll find your breakeven point – when expenses and sales converge. The key to most wholesale and retail businesses is in the inventory. Too much inventory and you risk staling (if it is a food or expiration based product), or locking up cash flow. Too little inventory and customers can become turned off if they cannot purchase immediately. If your lines of credit dry up, selling the inventory off is one way to increase cash flow, but if no one wants to buy the inventory you’re stuck holding it with little or no cash alternatives. Small business wait time on accounts receivables are increasing. According to a Wall Street Journal Survey, “64 percent of small business had unpaid invoices of more than 60 days old while 20 percent say the problem worsening.” Slow or no collections are one of the most difficult areas of small business to rein in. Try incentivizing clients to pay early or on time with a net 10 discount and a percentage charge for late payments. If after implementing the above recommendations you still aren’t seeing cash flow improvement, it may be time to consider a collection service. Collection agencies can take as much as 30 percent of the total amount due, so you’ll want to weigh your efforts to get the client to pay versus the cost of using collections. Offer extended credit terms or credit card payments as an option. If the client or company doesn’t have the funds to pay, the only other option is to take back the merchandise and return it to your inventory. Again, this may be a difficult process. How can you speed up invoice payments? Invoice promptly after work is complete. Provide a detailed invoice including your work order, contract or other documentation, contact information, purchase order, Tax ID and account number. Send the invoices electronically for even faster delivery. Reconsider your acceptable payment options such as Amazon Payments, PayPal, or other merchant services that can include credit cards. Business experts advise businesses to always try to have a cash reserve of 3-6 months to cover the slow months. While this is the golden rule, like many rules, it often isn’t realistic when it comes to small business start-ups and managing limited cash flow. If you find that business is taking a dramatic turn and cash flow is severely restricted, don’t attempt to wait out the storm. Knowing where your business stands at all times will allow you to see that cash flow is shifting. You can then make a strategic move to correct the issue or seek temporary funding before the deficit becomes too damaging to the company. Copyright Information 2017 Professional Association of Small Business Accountants. Presented by TMA Small Business Accounting, P.C., a PASBA member firm located in Indianapolis, Indiana.